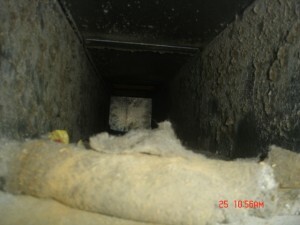 Do you have a smell coming from your ductwork? 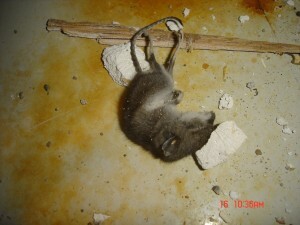 It is not that uncommon to have animals get into the duct system and get lost or trapped. When living in Michigan the wildlife is always looking to stay warm, migrate, breed making your home a great place to try and make THEIR home. You will not know when they are trapped but you sure will know once that have died because of the smell. Recently a customer located in Troy Michigan called Amistee Air Duct Cleaning complaining of a “weird smell” coming from the ductwork. Upon arrive we found a dead squirrel in the ductwork by the filter box/furnace. This obviously would create a pungent odor. After a full system cleaning the homeowner was back to living their normal life smell free. 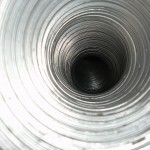 Is that Smell coming from my Air Ducts? There are so many questions to ask when wondering why the air inside of your home is not as fresh as it should be. This is where Amistee Air Duct cleaning steps in. It’s difficult to tell where that smell in the Air Ducts might be coming from. Your home should be your haven, your comfort zone; a place to relax at the end of the day. With all of the changing seasons in Michigan, many people stay inside to enjoy the air conditioning or warmth during the winter. Has the house sat unoccupied for a while? Have you heard noise s inside of the ductwork? Do you have pets or did the previous owner? Are you experiencing unusually high dust inside of your home? Are your allergies more severe? Amistee has encountered things inside of the ductwork from ordinary to strange and everything in between. How does a full pair of snow boots end up inside of the ductwork, Pet hair, Animals? Most interesting is our Air Duct pets. These are the little guys who find a home inside of someone’s ductwork. They might be looking for a warm place in the winter or just the smallest opening in the ducts. But Heating & Cooling Air Ducts are not the only “duct” to be affected by animals. We experience a large number of birds that build nest inside of Dryer Vents. The dryer duct opening is the perfect size for a nest and the birds will stay warm with each use of the dryer. The long term concern is the dryer slowing down and not working properly. After Amistee completely cleans out a bird nest from the Dryer Vent, we can install a vent cap or bird cage to prevent future feathered residents. 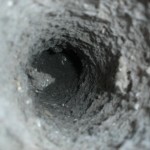 The strength of our vacuum truck and powerful cleaning tools can remove all visible dirt, debris and items from inside of your Air Duct System or your Dryer Vent. 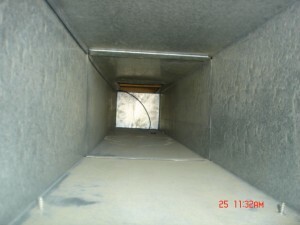 Amistee Air Duct Cleaning provides service to residential and commercial customers. No job is too big or too small. Whether you live between Monroe to Flint, or Jackson to Harrison – Amistee Air Duct cleaning is just a phone call away 248-349-8877, Novi Michigan. We can bring your home back to life with a cleaning of the Air Ducts.